NEW Starline Caturra stainless steel dual wall vacuum tumbler with a leak-proof screw-on lid. Patented lid design. NEW. 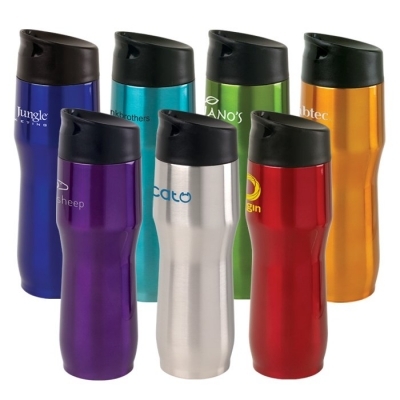 Double walled, vacuum insulated, 16 oz stainless steel tumbler, with patented leak-proof lid. Made entirely of FDA approved materials. Curved contour for easy holding. The design has lip and finger grooves to let you position the drinking spout without even looking.